Lizzie Borden was tried and acquitted of the brutal axe murders of her father Andrew Jackson Borden, and stepmother Abby Borden. The trial was a huge sensation. She won great sympathy from the all-male jury and was acquitted after only 68 minutes of deliberation. The murders were never officially solved. On August 4th 1892, Lizzie Borden discovered the body of her father at their home in Fall River, Massachusetts. Friends and a doctor were immediately called upon, and the body of her stepmother was then discovered in a 2nd floor bedroom. The Bordens were brutally slain with an axe, and the crime was extremely shocking. Witnesses stated they did not see blood on Lizzie's clothing, but circumstantial evidence implying her guilt was significant. A grand jury was convened in late November, and Lizzie Borden was charged with the murders. The sensational trial began on June 5th 1893, and lasted two weeks. The prosecution had presented very extensive circumstantial evidence. Lizzie did not get along with her stepmother and referred to her as "Mrs. Borden." She had attempted to buy poison from a local pharmacist just one day before the murders. A friend testified that Lizzie had burned a stained dress only three days after the murders. And importantly, the medical examiners stated they believed that the murders were done about 1.5 hours apart, implying the crime was committed by a family member or close friend. Lizzie was acquitted by the all-male jury on June 20th 1893, after only 68 minutes of deliberation. Lizzie fainted during the trial which had caused great sympathy. It was culturally prevalent during the Victorian Era that women were incapable of committing brutal crimes, which likely influenced the jury. Lizzie Borden was also tried in the public arena, with many local residents believing she was guilty of the murders. The media publicized the event for years after the crime on its anniversary date. 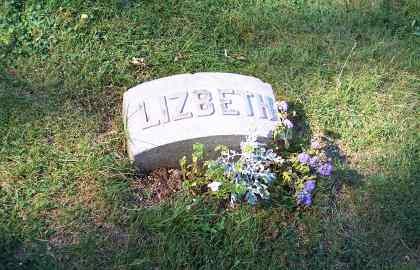 Lizzie inherited great wealth from her father, and bought a large mansion in Fall River after the crime. 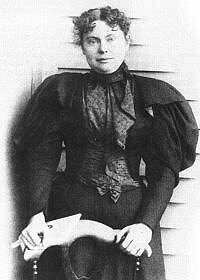 Lizzie Borden died in 1927 at the age of 66. She never married. The Lizzie Borden House is now a bed & breakfast, with overnight accommodations in actual family bedrooms available, as well as daily tours of the building.